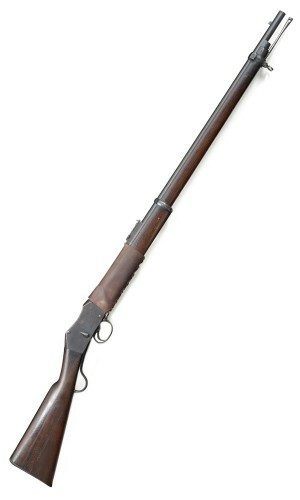 During the development of the Martini Henry IC1 carbine, the RSAF decided to utilize the same component parts to produce a new mark of rifle, the intention to make the parts interchangeable. On 22nd August 1879, the MkIII rifle was accepted into service LOC 3998 “Rifle Breech loading, with Cleaning rod Martini Henry Interchangeable MKIII”, it took the same basic form of the MkII rifle, with some re-designed features. The first orders for 30,000 MkIII were placed on the RSAF in 1879, at a cost per rifle of £2.13s.10d, with combined orders for the trade BSA, LSA & NAA fo9r 10,000 arms at a cost of £2.18S.9d. The MkIII. 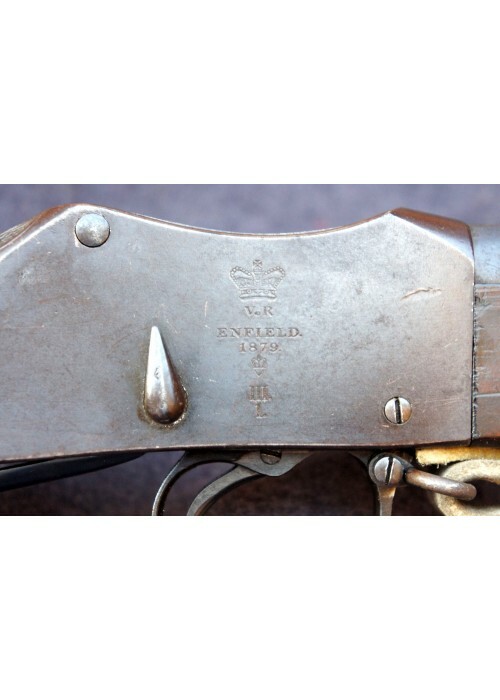 Rifle was designed primarily as an arm for Volunteer, Militia and Dominion governments. 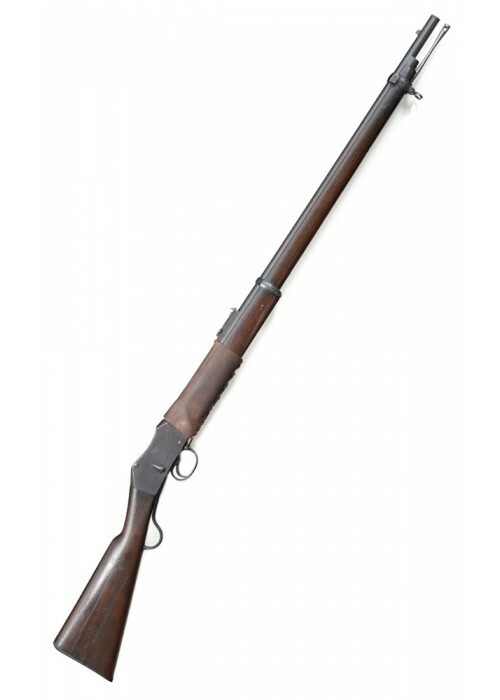 The MkIII was an exercise in durability, the barrel had a new double hump knocks form,primarily to give an enhanced grip when the barrel was held in the breeching vice. Because of this re-design, the lug hole brazed on the underside of the barrel to hold the fore-end and cross pin common to MkI & II rifles were discontinued, as a result The MkIII had the “Fore-end Hook” method of fixing, a screw fixed metal plate was let into the underside of the forestock, this hooked into a keeper slot grooved into the front of the action, a feature copied from the carbine development. 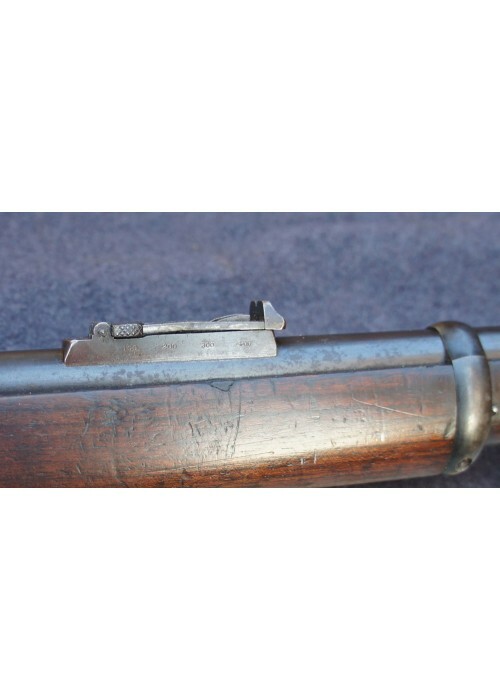 As the walnut fore stock blank no longer needed to be located into the receiver mortice slot, it extend .312” longer along the barrel than the MkII rifle. A new pattern Breech block had been approved under order No68 22nd March 1878, and designated pattern III. 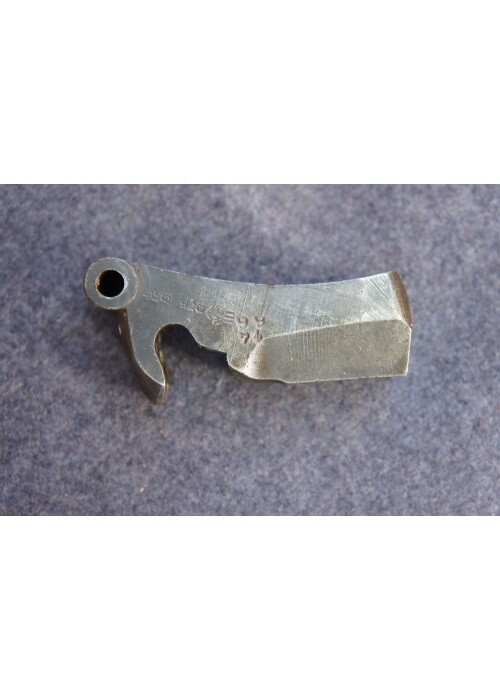 This new block was made wider to eliminate play in the action when opened and closed, it also utilized a new design of firing pin, .002” narrower at the point to increase clearance. The most obvious change was the firing pin itself, the MkIII design was now fully cylindrical with a diameter of .056” purpose made to be a sliding fit into the spring chamber of the block. 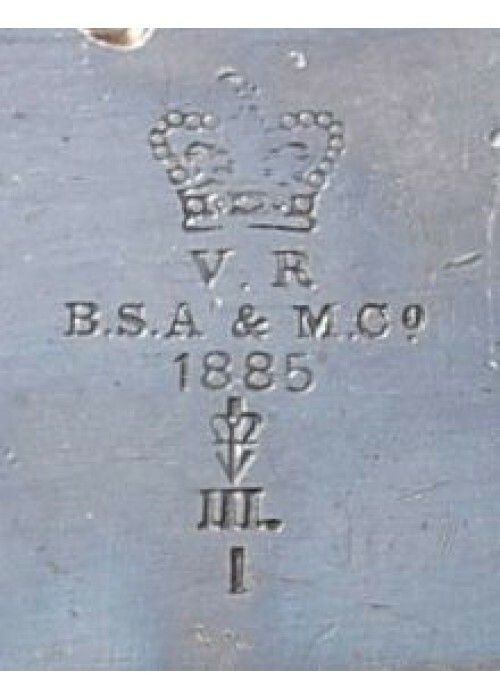 The breech block was purposely designed to interchange with all previous marks of rifles and carbines, to make it readily identified, The block was marked with the Roman numeral III, under the WD mark and the Maltese Cross on the opposite side, the stop nut and the rear of the firing pin to be marked similarly.